Lorena Angulo: New Year and New Adventures ! New Year and New Adventures ! Happy New Year 2015 to all ! I have been very quiet in my blog, sorry about that. I promise I will be posting more often to share with you my new adventures with my work and new designs for this year. As some of you may know, I had a health problem in 2013 that forced me to stop creating jewelry for almost a year. It was a difficult journey because I enjoy creating something almost every day, but I also felt I needed this break to recover and get better. Before I got sick I had so many plans, one of them was to do a bigger show outside Texas. 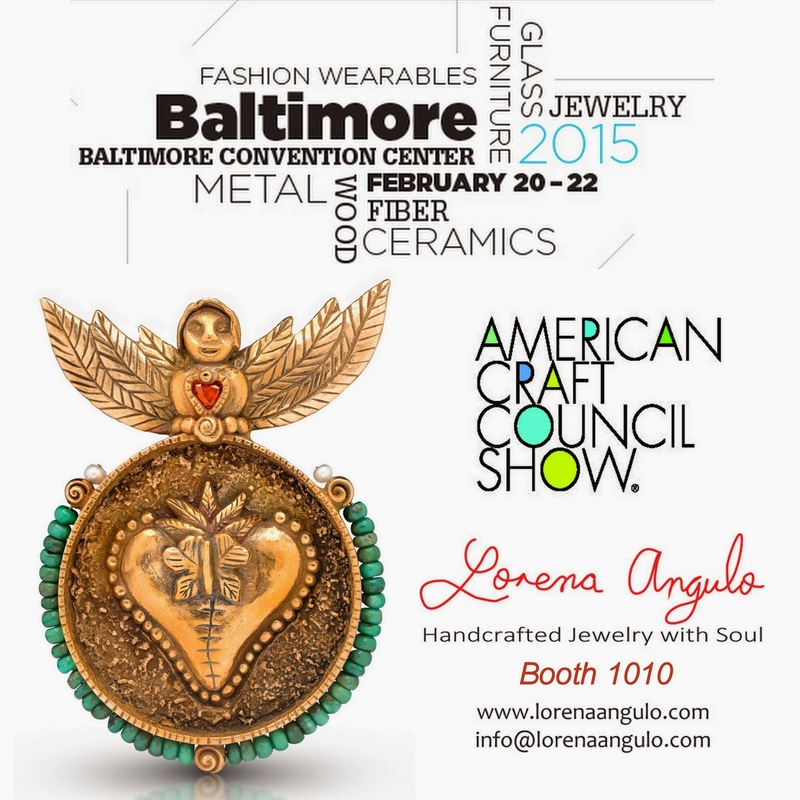 One of the shows I wanted to be was the prestigious ACC (American Craft Council) in Baltimore. I knew it was not easy to be there but I never lost hope that one day it will happen. I am more than happy to share with you that I was selected to be one of the invited artists by SNAG to attend ACC Baltimore this year in February. I am thankful to be part of the group of artists selected by SNAG and can not wait to be there next month! ACC launched a Charm Collection program last year and I decided to participate too. 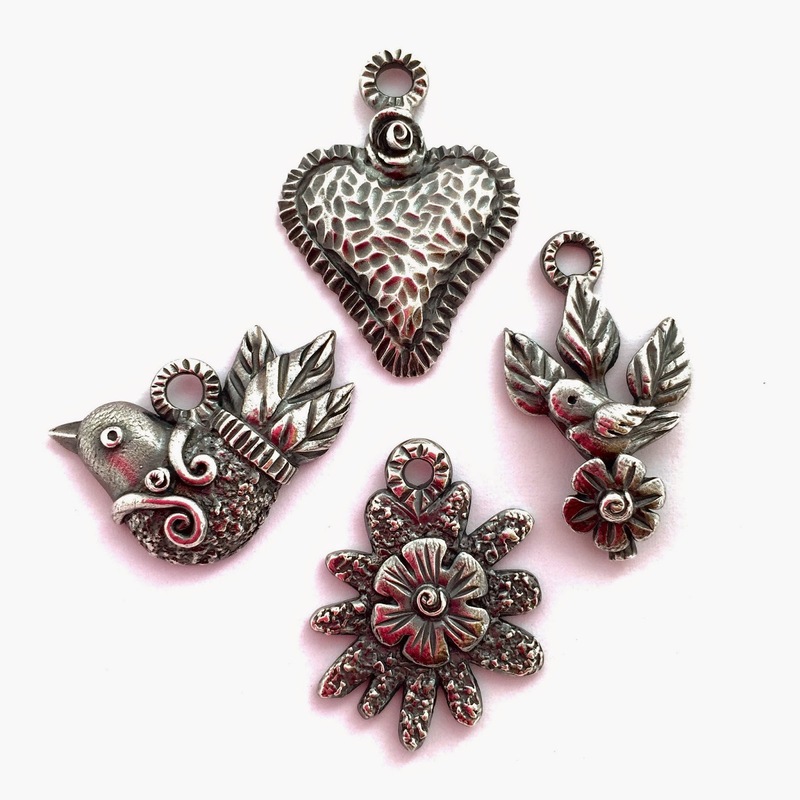 I created 4 charms that I will be selling individually, in a bangle, a brooch and a necklace. You will have lots of options to choose from! I am going to be BUSY this month for sure!! I have to finish putting all the details for my booth display and producing lots of jewelry to bring to the show. I am also preparing for Fiesta Arts Fair in April at Southwest School of Art in San Antonio, Texas. I was fortunate to be accepted last year for the first time and I will be doing it again this year, hope I will see you there!! How can I purchase the charms? I want to be you when I grow up (I'm 72) and LOVE metal clay...wish I could do it all day, every day!